Janet's Planet | Where we're moving at the speed of thought! :) | Geocaching is heading towards the International Space Station (ISS). Geocaching is heading towards the International Space Station (ISS). All of geocaching? No, not all of it, but a very special little Travel Bug® named TB5JJN1 is tagging along with Nasa astronaut Rick Mastracchio on his mission to the ISS. Mastracchio will be using the Travel Bug as an educational tool to help teach students around the world about geography and geocaching. Mastraccio willRocket into Space on November 7, 2013 (GMT). Every geocacher who attends a Geocaching Event on November 6 or 7, 2013 will be awarded a “Geocaching in Space” souvenir. In additional, Geocaching in Space Mission Patches will be sold, and proceeds will to the educational charity DonorsChoose.org. You probably have a few questions about Geocaching in Space. For answers to your questions go to the Geocaching in Space Event Center , or check out the FAQs below. If you still have questions, let us know in the comments or visit Geocaching.com/help. 1. What is Geocaching in Space? 2. When is the spacecraft currently scheduled to launch? 3. How do I find an Event Cache near me? The local times for the launch depend on where in the world you’re watching. Find Event Caches on November 6 or November 7. Don’t see an event near you? 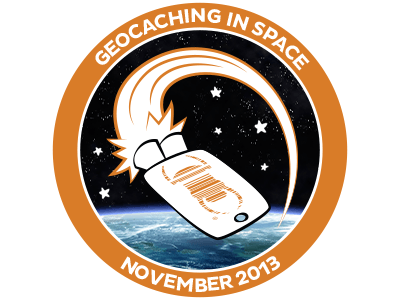 Submit a Geocaching in Space Event Cache up to two weeks before the schedule launch. 4. How can I keep getting updates on the mission? You can follow the Travel Bug® here by adding it to your watchlist, follow Geocaching on Facebook, Twitter and Google + for updates as they happen. 5. Is there a way to watch the space craft launch live? NASA TV will broadcast the launch live. You can download a free NASA TV app for Android or iPhone, watch NASA TV live on their website www.NASA.gov, or watch the launch on the NASA channel on your cable TV. More questions? Check out NASA TV FAQs here. 6. Who is the Astronaut that is bringing the Travel Bug® to the ISS? 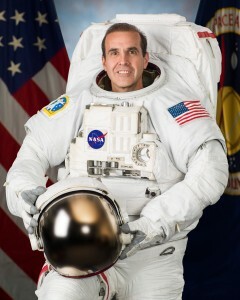 Rick Mastraccio is an experienced NASA astronaut. He is currently training for his third travel to the ISS. He will be the Flight Engineer for the team. His geocaching name isAstroRM and we think he’s pretty cool. 7. Do I have to attend an official space event, to receive the “Geocaching in Space” souvenir ? No. If you log your “Attended” for any geocaching event, that is held on November 6th or November 7th 2013 and listed on Geocaching.com, you will receive the souvenir. Events on both days will help commemorate Geocaching in Space. 8. I am the host, will I get the souvenir too? Yes. Even though we discourage geocache owners to log their own geocaches, it is completely fine to log an “Attended” on your own geocaching event. You deserve it! 9. What if the launch date changes? As this is a real rocket launch, the launch date could change. In this case we’ll issue the souvenir for attending an event on November 6 or 7. The same souvenir will also be awarded for events on the the actual launch date. 10. Is there a geocache close to the rocket launch? Yep. 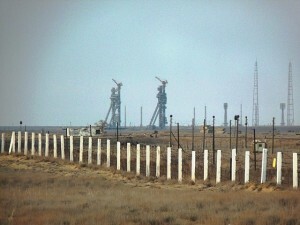 There is a geocache located at the Russian Rocket Base in Central Asia close by. It is called Poyekhali. It currently has 4 finds. 11. Is there a geocache at the International Space Station? Yes, indeed there is. Video game developer Richard Garriott had a dream come true, when he was travelling to the ISS and hid a geocache there in 2010. Astronaut Rick Mastraccio (AstroRM) will be claiming the FTF over three years after this geocache was hidden. 12. What are the coordinates of the International Space Station Cache? As the geocache on the ISS orbits the earth 15 times every day, it was a challenge to find coordinates for this one-of-a-kind geocache. The geocache owner decided to use coordinates in Kazakhstan close to the Russian Rocket Base from which the spacecraft will be launching.